By Tracy Wang Based on Clane Hayward’s memoir The Hypocrisy of Disco, ‘Lane 1974’ tells a coming of age story of a 13-year-old Lane, who once lived on a beautiful piece of Northern California land until her mother caused them to be moved away. The film follows Lane’s journey of moving from one place to the next and parting with her loved ones; a film on the dream, hope and despair of a 13-year-old girl, ‘Lane 1974’ brings the audiences back to the year of Lane’s suffering, growth and finally her freedom. The film begins with Lane’s family life on a piece of Northern California land, where she has a rather happy life with all her friends, siblings and nature as her playground. However, it does not last, and their family is forced to move away, and lives in a bus. With an incident of one of their friends’ near drowning in the ocean, her friends are taken away by their mother, and Lane’s family is once again forced to be on the road. Since her mother does not know how to take care of them, their family begins a journey of begging and parting. One by one, her two younger siblings are given to other people, and she becomes the only one with her mother. As their situation continues to worsen, and her mother is caught up in a purification relationship with a stranger, she finally breaks away from her mother, and moves in with her paternal grandmother. Can she finally have a normal life as a 13-year-old? 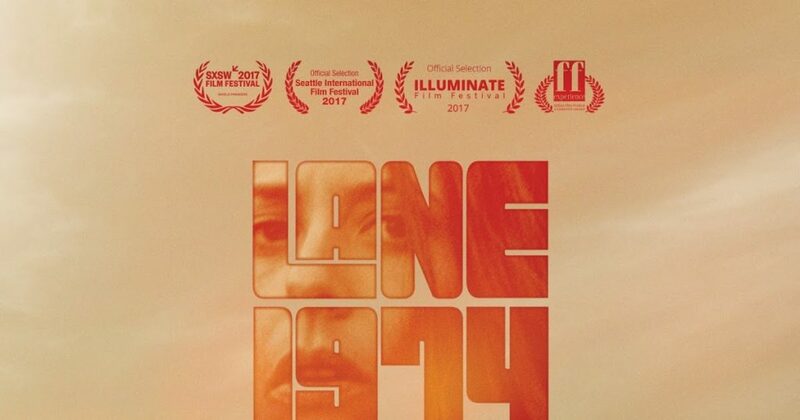 With the film ‘The Glass Castle’, also based on a memoir discussing a dysfunctional family, in movie theater since August, ‘Lane 1974’ certainly brings in some more perspective and heartbreaking events regarding a dysfunctional family as well as how a girl survives in such dire conditions. Focusing on a series of events that signalize the almost total downfall and destruction of a broken family, the film depicts Lane’s journey in surviving and finally abandoning such a broken life in an attempt to have as normal a life as possible. As Lane embarks on the journey in finding her own way and life, her life runs like the bus Lane has been living and traveling in. At times clear in the direction she is going, Lane’s life and the bus both continue on; however, at times, they can also be lost in the fog, the forest and the leaving of a loved one. Both the beginning and ending of the film set clear tones to the film. With the opening scene of the sea and grass, and a single bus moving slowly in the width of nature, we find ourselves engulfed in the expanse of nature, and becoming ever smaller. The faraway viewpoint and the eerie background music immediately signal how we are starting a journey that has a calm exterior but a chaotic interior. Similarly, the film’s ending is equally haunting with Lane eating a bowl of cereal and looking directly into the camera. The acts of pouring cereal and milk into a bowl, and eating it exude a powerful contrast to her eating rice with her hands before; these actions symbolize her living in the state of the common definition of American normalcy. With the haunting start and end, the film perfectly captures themes such as parenthood, dysfunctional family, childhood, normalcy and spirituality. Filled with these significant themes, the film deeply resonates with us, because of the beautiful actings from Sophia Mitri Schloss and many small, but heart wrenching scenes of Lane trying to take on roles of a parent and also her trying to be a normal kid. Some most memorable scenes include the ones of Lane’s interaction with food. Again on the road, Lane shares two cookies she found in a garbage bin with her two younger siblings, and they quickly clean their teeth in case their mother finds out. This scene is perhaps one of the most telling one in the entire film; what Lane demonstrates here is her taking on a parent’s role, as well as them being fearful of their restrictive mother. Watching a 13-year-old taking on such a large burden and witnessing all the dreams she has (a bedroom like the one in a Sears catalogue), we can almost feel a tingling sense of shame and regret, when we are not feeling anger and sadness of the journey she has to go through.